Total Bulk Lighting offers a full range of popular HID Lamps, Metal Halide, High Pressure Sodium lamps sold in bulk quantities at discounted prices. 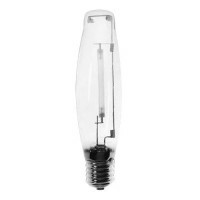 For Metal Halide lamps, choose from a range of standard PULSE START Metal Halide Lamps (bulb) that have been the workhorse of the Metal Halide family of lamps for years. Pure white light, long life and exceptional quality make these lamps a standard for many applications. 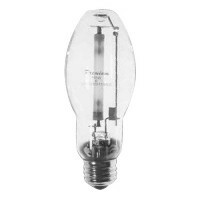 These are 1st quality Metal Halide Premium; no seconds or grey market lamps are ever sold on this web site. Total Bulk Lighting also carries Ceramic Metal Halide bulbs that are a member of the High Intensity Discharge (HID) family of lighting products. 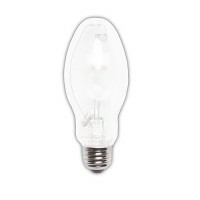 Metal Halide bulbs are among the most energy efficient sources of white light available today. The latest breakthrough in the field of metal halide technology, Ceramic Metal Halide lamps provide unparalleled uniformity and consistency in lamp-to-lamp color - both initial and throughout life - as well as higher efficacy than any other low-wattage metal halide bulbs available. The secret to Ceramic Metal Halide lamps whose unequaled performance, is its ceramic discharge tube which combines the white light and high efficacy of metal halide lamps with the color stability and reliable, as well as very long life. 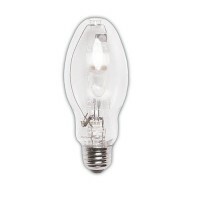 Total Bulk also offers other specialty Metal Halide Lamps in addition to High Pressure Sodium Lamps. Tell us what you're lighting and we'll recommend what is best to light it with. Take advantage of our design help and personal shopper service as our lead lighting designer is one of the best in the industry.
" Love the new lighting. I can finally see in my study again without turning on other lights. " " I am very happy with my lamp sockets I purchased from you. Thank you very much. " " Thanks Guys, for the quick delivery of my recent order.!!! Everything came and is just what I needed. Again, thanks , and I’ll be telling others about your service and parts.!!!! "